Understanding the similarities and differences between human enhancement drugs (HEDs), performance and image enhancing drugs (PIEDs) and novel psychoactive substances (NPSs). Over the past several years, different types of drugs have entered the global drug scene. Where before traditional drugs such as cannabis and cocaine were the main go to for recreational drug users, there is now an emergence of ‘new’ drugs that have similar effects, called ‘novel psychoactive substances‘ (NPSs) or ‘legal highs’. NPSs are drugs which are designed to be similar chemically and/or pharmacologically to known controlled drugs (e.g., cocaine), are substances related to medicine, and are often sold (online) as ‘safer’ and ‘legal’ alternatives to traditional drugs. The growing demand for NPS and its rapid diffusion in countries around the world, is currently one of the main challenges needing to be addressed by drug policies. However, while countries across the globe are responding to this emerging NPS issue and are introducing laws to control this unregulated market, another rapidly rising illicit drug market has remained relatively ignored: the market for human enhancement drugs (HEDs). The only exception being in the context of sports doping, where drugs such as steroids, have been recognized as a threat to the health of athletes and the morality of sport for some time now. Indeed, the emerging threat to public health posed by the use of HEDs has been largely ignored (e.g., cardiovascular disease, dependence, mood syndromes, skin infections), and little research and, therefore, a lack of knowledge, exists surrounding the prevalence of HED use, its effects and health harms, and its supply. Nevertheless, academics, practitioners, the news media and others have begun to pay attention to the sale and consumption of HEDs. However, the ways in which these sources conceptualize and operationalize HEDs differ widely: some consider HEDs as a part of NPSs, while others define them as ‘lifestyle drugs’ or performance and image enhancing drugs (PIEDs). In addition, it is not always clear to what type of substance are specifically being referred to when talking about HEDs (e.g., steroids, weight-loss drugs). Yet, in order to draw comparisons and to measure research variables it is essential to be clear about what we mean by HEDs and what types of HEDs we are talking about. The intention of this blog is to define HEDs and its subcategories, and to invite readers to add to this definition, or any of the drug profiles described on the HED website for that matter. This blog is a ‘living document’, meaning that it hopes to evolve and change over time as we work towards a greater understanding of HEDs. HEDs are often used in an attempt to become faster, stronger and smarter, to look thinner, to increase happiness, to ‘reverse’ ageing, and various other reasons related to improving the quality of life and to enhance human attributes or abilities. Specifically, HEDs can be divided into six categories: (a) muscle drugs (MDs) (e.g., steroids), (b) weight-loss drugs (WDs) (e.g., ephedrine), (c) image enhancers (IE) (e.g., skin-lightening products), (d) sexual enhancers (SEs) (e.g., Viagra), (e) cognitive enhancers (CEs) (e.g. Adderall), and (f) mood and social behaviour enhancers (MBEs) (e.g., Diazepam). (a) Muscle drugs are used to enhance the structure and function of skeletal muscle. These substances are consumed for cosmetic reasons (e.g., increase muscle definition), medical reasons (e.g., to increase weight in AIDS patients), and to enhance physical performance (e.g., increase strength). Examples of muscle drugs are anabolic androgenic steroids (AAS), human growth hormone (HGH) and Erythropoietin (EPO). It should also be noted that some of these drugs do not necessarily (directly) ‘enhance muscle’. For example, EPO is used to stimulate the number of red bloods cells, which then leads to an increase in the oxygen carrying capacity of the blood and ultimately delivers more oxygen to the muscles. The extra oxygen significantly increases the muscles’ energy production and can therefore help to improve an individual’s performance output ability: meaning higher intensity for a longer duration. So, while EPO does not lead to a ‘growth in muscles’, it does have the potential to increase someone’s ‘muscle energy’, and for this reason is added to the ‘muscle drug’ category. Therefore, ‘muscle’ does not only refer to someone’s increase in muscle mass, but also in the ability to enhance speed, energy levels, strength, and/or other muscle-related qualities. (b) Weight-loss drugs are substances used to enhance weight-loss. Most of these drugs work by reducing appetite and/or stimulating metabolism, leading to a reduction in body fat and overall body weight. Examples of weight-loss drugs are Clenbuterol, Ephedrine and 2,4-Dinitrophenol (DNP). (c) Image enhancers are used to enhance the appearance of the skin and hair. There are various products in this category but in principle it may be divided into three types: (1) drugs to tan or lighten the skin, (2) products to stimulate hair growth or prevent hair loss, and (3) drugs to prevent wrinkles or smoothen the skin. Examples of image enhancers include Finasteride (hair growth product), Melanotan I and II (skin darkening drugs), and Botulinum toxin products (skin enhancing product). (d) Sexual enhancers are drugs that enhance (normal/abnormal) erectile function and aphrodisiacs, which increase sexual arousal and desire. Examples of sexual enhancers are Sildenafil, Tadalafil and Yohimbe. (e) Cognitive enhancers, also known as ‘smart drugs’ or ‘brain doping’, are used to enhance cognitive functions including short-term memory, concentration, comprehension and alertness. Examples of cognitive enhancers are Methylphenidate, Modafinil and Piracetam. Finally, (f) mood and social behaviour enhancers are taken for the purpose of altering and/or improving one’s state of mind or feelings. There are different types of mood and social behaviour enhancers but in general they may be divided into three categories. First, drugs to suppress the effects of adrenaline and to calm the nerves. For example, consider an individual taking beta-blockers before his or her presentation to quell the physical sensation brought upon their ‘nervousness’. Second, drugs to suppress pain such as the use of painkillers (e.g., Oxycodone), for instance, by professional athletes so they can keep playing despite injuries. Finally, drugs to alter an individual’s mood, for example, someone using selective serotonin re-uptake inhibitors (SSRI) (anti-depressant) to increase energy levels and to improve positive feelings of well-being. However, the latter seems to be used more often for therapeutic reasons rather than for ‘enhancement’ (e.g., the use of SSRIs when someone is clinically depressed). Therefore, it may be questioned if this is a true form of enhancing (normal) abilities, or rather involves the use of drugs to return to a ‘healthy’ or ‘normal’ mental health. In addition to their categorical differences, the HEDs listed above may be used for various enhancement purposes and are not necessarily used for one type of enhancement. Indeed, what makes these drugs so complex is that HEDs may be used by (1) different people and for different purposes, (2) the same people, at different times, for different purposes, and (3) the same people, at the same time, for multiple purposes. For instance, Melanotan II is used for its tanning effects but is sometimes also used for its sexual properties. Similarly, HGH is used for both its muscle enhancing effects as its weight-loss properties. That said, one specific area of interest within the spectrum of HEDs are drugs that are more frequently associated with professional, amateur and recreational sport: the muscle enhancers, weight-loss drugs and image enhancing drugs. These three categories are commonly referred to as performance and image enhancing drugs (PIEDs). The use of the term PIEDs has evolved over the last couple of decades. Originally, the term ‘performance enhancing drugs’ (PEDs) was used to describe a wide variety of substances used by athletes in an effort to enhance their performance. The term ‘PEDs’ is still widely adopted and tends to refer to an elite sport context but has also been applied when there is no direct link to competitive sports. Yet, in general the word PEDs falls more in line with ‘doping’; a term that is specifically reserved for (elite) sport. In recent years, however, it has become clear that other groups, aside from athletes, are increasingly using these types of substances (muscle enhancers, weight-loss drugs and image enhancing drugs). The main goal of these ‘non-athlete’ using groups is aesthetic modification (e.g., lose weight, increase muscle mass) and to a lesser extent, athletic enhancement. As such, the term ‘performance and image enhancing drugs (PIEDs)’, and in some cases ‘image and performance enhancing drugs (IPEDs) or ‘appearance and performance enhancing drugs’ (APEDs), is considered more suitable when describing these substances. While PIEDs may be associated with various types of users, in general they are largely associated with recreational trainers/athletes (e.g., recreational weight-trainers, power-lifters or bodybuilders). Notably, many consider the term ‘PIEDs’ as just another word for HEDs. However, as PIEDs are strongly associated with recreational, amateur and/or professional sport and tend to include substances that improve sporting performance (e.g., EPO) and/or physical appearance (e.g., steroids), it is, in our view, preferential to consider them simply as a subset of HEDs. Considering the way ‘performance’ is used here, referring to ‘athletic performance’ and not to other types of performance (e.g., enhancing sexual or cognitive performance), and that ‘image’ refers to bodily modification, we suggest the term PIED, IPEDs or APEDs be adopted when referring to a sport-specific context, whether this be recreational (e.g., fitness trainers), amateur (e.g., local soccer) or professional (e.g., Olympic track and field athletes), and to apply the term HEDs when referring to the general HED-using population (e.g., students who use Adderall, men who use testosterone to boost testosterone production). Moreover, one could argue that cognitive enhancers should be included in the category PIEDs, as drugs such as Methylphenidate and Modafinil are on WADA’s Prohibited List and could potentially increase sport performance. However, the fact that a substance is on WADA’s Prohibited List says very little, as, for example, recreational drugs such as marijuana and cannabis are also on the list, yet these substances do not offer performance enhancing capabilities to athletes. Therefore, as I also argue in this blog, PIEDs are substances that more generally are used within a sport-specific context (recreational, amateur and/or processional). Although cognitive enhancers may be used in sport populations for ‘athletic-performance-enhancing reasons’ in general these substances are not taken for this reason and are predominantly used to enhance other functions in daily life (e.g., the use of Modafinil by pilots to boost alertness and manage fatigue), and, therefore, are not included in the overall PIED category. We also need to consider: what separates HEDs from NPSs and traditional drugs? HEDs are used for different reasons (e.g., to enhance sport performance) than other illicit drugs and NPSs (e.g., to get ‘high’), and users of HEDs often do not necessarily perceive themselves as ‘drug users’. Specifically, HEDs are often used to enhance or to increase the value or perception of human attributes or abilities (e.g., muscle growth, skin darkening), and are not used to provide gratification or pleasure as a result of their ‘psychoactive properties’. Nonetheless, some overlap may be found between the three different drug markets. First of all, let’s look at the difference between NPSs and HEDs. Key features of NPSs are that they are: (1) not approved for human consumption and have unpredictable side-effects, (2) are often sold as something else such as plant chemicals and bath salts, (3) are relatively unknown to health care providers and other professionals, (4) are usually not mentioned in the scientific literature, (5) are easily available (in particular online), and (6) when they are a medical product, these substances are often not used according to medical guidelines (e.g., prescribed dosage). Therefore, NPSs and HEDs share many features such as the perceived ‘legal status’, their (online) availability, being promoted and sold online as legal alternatives, and in that there are certain HEDs created to ‘mimic’ the effects of traditional HEDs. For example, ‘designers steroids’ are created to mimic the effects of existing steroids and are made to evade detection (e.g., doping controls) and legal prohibition. Nonetheless, NPSs and HEDs are heterogeneous in terms of their chemical group, desired effects, type of users, consumption patterns, medical risks and psychopathological disturbances. Indeed, in general HEDs are not ‘new’, in many instances they have been approved for human consumption, are not usually used for their psychoactive effects, and in most countries are controlled for by drug, medicine or other laws. Second, certain HEDs overlap with the traditional drug market in the sense that similar drugs are used, albeit for different reasons. For example, marijuana is used as a HED for its weight-losing properties (although there is no strong evidence to support this), while this substance likewise may be used as a traditional drug for relaxation purposes. Another example is cocaine, although predominately used as a recreational drug (e.g., produces feeling of euphoria and wellbeing), it is also sometimes used for its performance enhancement effects (e.g., increases alertness with low doses) or weight-loss purposes (e.g., appetite suppressant). Finally, an overlap may even be found between illicit drugs, NPSs and even HEDs. For example, nalbuphine (Nubain) and Gamma Hydroxybutyrate (GHB) cross all three groups. Taking a closer look at GHB: this ‘club drug’ is used as a recreational drug for its intoxicating, euphoria, and sedative effects, while at the same time it is used by bodybuilders and other weight-trainers for its anabolic effects due to protein synthesis. However, there is no strong scientific evidence to support that GHB works for these enhancement purposes. In addition, although GHB has been used as a recreational drug since the 1990s, this substances and its analogues gamma-butyrolactone (GBL) been classified in the literature as a NPS. 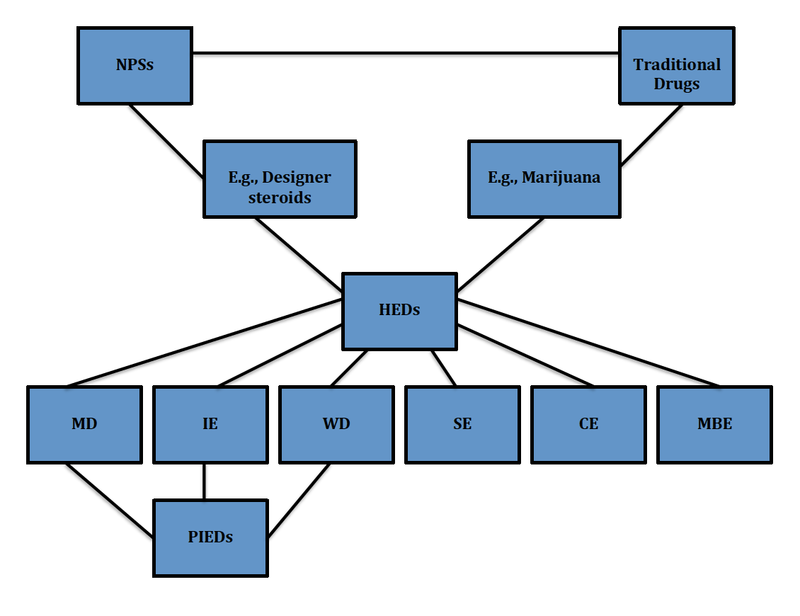 Figure 1 provides an overview of our discussion; the different types of HEDs, what are considered PIEDs, and how this connects to the traditional drug market and the illicit market of NPSs. Please feel free to leave remarks and provide feedback in order to optimize the definition of HEDs and the description of the six drug profiles. Figure 1. An overview of the different types of HEDs, what PIEDs are, and how HEDs connects to the traditional drug market and the illicit market of NPSs. I would like to thank Kyle J.D. Mulrooney, M.A., and Prof. Jim McVeigh for their time and for sharing their thoughts on the topic of HEDs.